The ups and the downs in the world of diminished ovarian reserve. I have been so excited for my blog friends who have gotten pregnant using their own eggs or donor eggs. I was particularly excited for Maddie. She went through a hell of a time banking her eggs for many cycles because of her husband’s sperm issues. She eventually had to use donor sperm to fertilize all the eggs that she tirelessly saved up for a long time. She got her first BFP ever in her life only to find not-so-good news at her first ultrasound. It has not been confirmed yet but the situation doesn’t look good. My heart breaks for her. I was overjoyed when I learned that she was pregnant. I hate it so much that this already difficult journey is not smooth sailing for her. I know I project a lot of my hopes and dreams on her because of the similarity of our situation. I really didn’t want her to experience the chemical pregnancy/early miscarriage that we all dread. If you have a moment, could you please go give Maddie some love and hugs? I have so many questions in my head for the next steps. I had two phone consultation last week with the clinic that suggested egg donation for me. I did it just for the heck of it. I want to see what a donor egg cycle entails with this particular clinic just to see how doable it is. The first one was with the nurse coordinator. During the hour-long phone call, I learned a dizzying amount of information regarding donor egg cycles. I have been reading the Insider’s Guide to Egg Donation so I am not unfamiliar with the process. However, it is still a lot to learn. This particular doctor/clinic requires specialty blood tests to be done for anti-phospholipid antibodies, natural killer cell assay, and TH1/TH2 intracellular cytokines. This costs $1322 for the lab in Chicago and $55 for this clinic to send the blood over. The coordinator also explained the difference between frozen egg cycles vs. fresh egg cycles and what each entails. It seems like each batch of frozen egg costs from $10,000 to $15,000 depending on the agency, and a fresh donor cycle will cost $5000 to $10,000 for the donor compensation and $15,000 for agency fees. That doesn’t include the fees for the clinic. The second phone call was for a financial consultation with the same clinic. 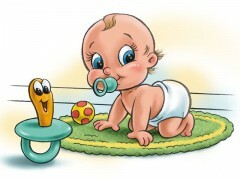 They offer frozen egg cycles and fresh donor egg cycles. I learned how much everything cost for this one particular clinic. There is a choice of frozen egg cycle, which is the least expensive. It follows by a single fresh egg cycle. The most expensive option is the shared responsibility plan that refunds 90% of part of the fees if you don’t get pregnant after transferring all the embryos. The kicker is that the full fee that you end up paying is $12000 more than the package price that is quoted. These are fees for necessary procedures such as ICSI, assisted hatching, culture for embryos, etc. You would’ve been fooled by the fee structure published on the website. 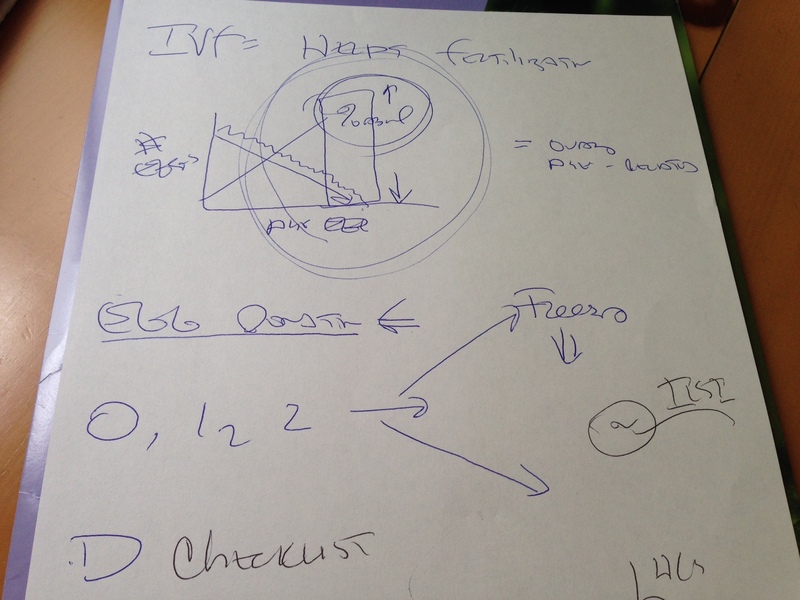 I was quite shocked at the sticker price for a whole IVF cycle with donor eggs. I originally thought that it’d cost about $35000 for a fresh donor egg cycle. Now I have to rethink the whole thing. I know I can do frozen egg cycles. We do want to have two kids though, so it seems like a fresh donor cycle that goes well has the most potential of giving us multiple embryos and a chance to freeze. I have a problem with paying this clinic so much money as their success rate isn’t even the best. UCSF’s donor egg cycle success rate is even better than theirs. With this new information, I have become more reluctant with the thought of exhausting all of our IVF fund on mini-IVF cycles with my own eggs. What if they don’t work? Then we’ll have to spend many many months saving up again. So I told Bob that maybe we should do at most three mini-IVF cycles in order to leave some money for egg donation if those fail. He told me to take some time to think about it as he wants to do as many cycles as I desire. I have been doing research on other clinics that have a good reputation with donor egg cycles. S.DFC seems to be a good choice. R.BA is a bit too far away for me. I would love to talk to the ladies who are cycling at these places or have cycled and have found success. Egg donation in the States is so pricey. I joke with Bob about having a donor with blonde hair and blue eyes as we learned about Aramis’ wonderful news with her donor egg cycle in the Czech Republic. We doubt that we can find a donor with black hair and brown eyes there, but the cycles are so much more affordable. The interesting thing is how open my mother is to this idea. I shared with her about my various online friends’ life and mentioned about Aramis’ success. She said excitedly, “You should go try too!” I asked her if she realized that it’d be most likely with a donor who is of European descent. As first she was taken aback by it and said to find an Asian donor first. I joked with her and asked, “What if we really decide to go for a cycle in the Czech Republic?” Her answer surprises and warms my heart. She said, “As long as you and Bob think that this is the right choice. We’ll be 100% supportive and will love the baby all the same.” I had never expected or imagined my mother to be so open with her thoughts. She is a Chinese parent after all. To me, it shows how much she loves me and how much she wants the best for us. She told me to let her know when we get pregnant. I said, it’ll most likely be four months into the pregnancy. She was again very much okay with it, as long as we tell her. Bob said that his mother would’ve demanded to know right away (if I were an Indian daughter-in-law). My mom has a beautiful soul. Anyways, back to my decisions. At this point, it’s not simply (which is not simple at all) about choosing donor eggs vs. own eggs and SoCal vs. UCSF. It’s about how many mini-IVF cycles we do so that we leave some money for donor egg cycles knowing the cost. Our preference is not to borrow money so saving up money is the only way. I am very grateful that we’re in the financial position to save up. It doesn’t come very easily and we have to make good choices financially along the way so we can achieve our goal faster. Bob has the vision, intensity, and the passion to save up towards this goal. I feel this very heavy financial burden while we get ready for our next cycle. I think I am leaning towards UCSF. However, I have irrational (or not so irrational) fear that I am not doing the best I can and taking the “easy” way out (again, it’s not at all easy) if I don’t bank embryos for 6 or 9 cycles in SoCal. Am I not trying my best if I don’t go the difficult, stressful, but maybe more promising route? Is SoCal actually a more promising route? One lady who got pregnant after banking many cycles in SoCal actually transferred a day two embryo (that was immature to begin with) for her first transfer instead of the other blastocysts that she banked. My point is, it wasn’t Life’s good culture for growing blastocysts that made it possible for her to be pregnant. It was the normal egg and an element of luck plus her good lining. So it could happen to me at UCSF as well if we bank and transfer day 2 or day 3 embryos. Instead of going crazy with my questions, I searched and found a therapist who specializes in infertility and even third party reproduction. I wrote her an email and was pleasantly surprised to find that 1) her clinic is a few blocks away from my work, 2) she has evening hours, and 3) her rate is reasonable. Ever since Bob switched to small companies, we don’t get coverage for therapy anymore and we’ll have to pay out of pocket. I am happy that he’s very open to it. (See, he’s reasonable when it comes to important things and to him, flowers are not important.) Anyhow, the therapist and I had a phone intake. It was a fresh breath of air to know that she didn’t need me to explain anything about IVF or egg donation. I just told her my history and she knew exactly what I was talking about. We made an appointment for our first session next Wednesday. I would really like this time with a professional to sort out my thoughts and feelings regarding this whole thing. I love talking to various friends but I think it’s about time to talk with a professional. At the end of the phone call, she asked me what insurance we had. I told her that we had Ka.iser which does not cover for mental health outside of Ka.iser. She gave me a $20 discount, stating that it’s unfair for Ka.iser patients that they don’t get reimbursement. That was so nice! It’s still a lot of money but I think it’ll be helpful for us. Wow that’s a load of information. Ladies who have gone to S.DFC or R.BA, could I get some input from you? Thanks in advance! Cell phone reception was nonexistent in certain parts of the mountains when we were in Denver. It said “no service” the whole duration driving out of Estes Park. You can imagine how shocked I was when my phone suddenly rang. It was a San Francisco number that I didn’t recognize. I looked at Bob and asked if I should pick it up. He said of course. I am so glad that I did. It was UCSF calling me to let me know that there was an opening on Monday (6/30) for the consultation that was originally scheduled for July 17th. My first reaction was that I didn’t have access to my work calendar so I couldn’t say for sure if I could take that spot. I hung up and Bob looked at me funny. He said, Can’t you just call work and ask? Duh. Sometimes my brain doesn’t function. So I called work and was pleasantly surprised that my schedule was clear for the available time slot at UCSF. I tried to call the number from the previous caller ID but was being passed around in the automated phone system. I finally hung up, looked up the reproductive health clinic’s phone number (thank goodness for cell phone reception), and happily connected with the clinic and snatched up the opening. I was very relieved to have the appointment move up to Monday as Bob didn’t start his new job until Tuesday. It was nice to have him around when we met the doctor. So the whole reason why I scheduled a consultation was because I chatted with a lady who also frequents the High FSH forum that I visit. We talked about six months ago and she shared all of her experiences with me cycling at UCSF. She has been banking her day 2 embryos for many cycles and recently started transferring. The cost of each minimal stimulation cycle is about $6500, a lot more affordable than going back to my own RE. Since UCSF is so close to my work, I figured I should really speak with Dr. No Nonsense before I make a decision. Yup I am naming this doctor Dr. No Nonsense. He was gentle and kind, but was also direct and non nonsense. His intern went over the history with us first and I felt that I was being quizzed. Good thing I remembered most of the details of our cycles. Then Dr. No Nonsense went through the history with us again. He did an ultrasound and found that there was one antral follicle on the right ovary and possibly two antral follicles on the left. When we finished, we had a talk about the next steps. He drew a diagram for us. Given our history of not getting pregnant naturally, IVF is of course the best way to achieve fertilization. However, given the low egg reserve, we may not encounter a normal egg for quite a few cycles. The first thing he wrote on the paper was the words “Egg Donation”. His point was, if we only had a limited amount of money enough just for one thing, he would recommend egg donations. He looked up and looked me in my eyes. He said, “I don’t feel that you’re quite done with your own eggs, right?” He knew that I only had one transfer. He could sense that I couldn’t really say that I have done everything that I could until I finish doing a few more transfers with my own eggs. So, if we had some money to spare, then he would support us trying to use my own eggs first. He drew the graph of number of eggs and age. We are fighting the battle of trying to find that elusive good egg. Did I tell you that this clinic is three blocks away from work? So convenience is a huge plus for me. I received the fee schedule in the last couple of days and found that each cycle of mini-IVF with UCSF IS about $6500, which is a fraction of the cost going to my current RE. Medication will not be much because of the low dose stimulation. The only downside is that this is a big clinic so I will not be seeing the same doctor for any of the monitoring ultrasound or egg retrieval. This clinic has over eight REs. Dr. No Nonsense will be managing my cycles though as he will be the one making the decisions for me and with me. I feel very comfortable with this doctor as I felt the compassion and warmth from him. It’s very different from some of the online reviews I have read about his bedside manner. I like him and I think I can work with him. Fast forward to this past Wednesday. I rushed home to be available for the scheduled 5:30pm phone consultation with Dr. Y down in Southern California. Phone did not ring once for another 25 minutes. I called the Li.fe IVF phone number. Fortunately someone picked up. I was told that Dr. Y was still talking to another patient. My phone didn’t ring until 6:30, a whole hour after the scheduled appointment. I don’t know if I should be worried if that is an indication of their future performance, stressing me out with a doctor that does not respect other people’s time. Given my history of having one embryo or no embryos each cycle as well as a history of endometriosis, he suggested doing natural IVF (no stimulation) or minimally using just half of a pill of Clomid (25mg). I asked him why he uses Clomid and not Femara, he said that Clomid has the function of blocking the estrogen receptors. Somehow that helps with preventing premature ovulation. He said that Femara doesn’t help with that. So now I have a decision to make. Egg donation vs. own eggs? Most likely we’ll try my own eggs first since Bob started his new job and we can start saving up money again for donor egg cycles if my own eggs don’t work in a few months to a year. My uterus is not going to grow old as fast as my ovaries. So if my own eggs don’t work, my uterus hopefully is still in good shape. With my own eggs, SoCal or local? That’s the biggest question. I have no gut feeling. I just feel that there is a huge dilemma in my heart. In terms of cost, both places are about similar. In terms of expertise in minimal stimulation, Dr. Y is no doubt the one to go to. He does this day in and day out with many many many patients. He’s been doing this for a few years and this is all he does. Dr. No Nonsense started doing this a couple of years ago and also does IUI as well as conventional IVF. Dr. Y may know more about how to tweak the protocol for each individual in terms of FSH level, estradiol level, and the state of the ovaries. Dr. No Nonsense may do a one size fits all model. In terms of day 2 embryos vs. blastocyst, it appears that there is a higher chance for transfer if we bank day two embryos. But does having a chance to transfer mean a chance for a baby? Or is the chance for a baby higher if we can make blastocysts? For this point, I don’t know which doctor I should believe. In terms of convenience, UCSF wins. I cringe every time I think about having to schedule and go to outside monitoring appointments, coordinating with L.ife for their instructions after each scan/blood draw, keeping a watchful eye on my follicles so that I don’t ovulate before the retrieval, timing the travel and booking plane tickets for the right date, booking hotel and car rental, letting clients know last minute that I will be traveling, and traveling/making it to the appointment. Those are the things we have to do. And I cringe. I am at a crossroad. Can you feel that I have lost my sense of direction? It’s compounded by cycle day one today, AF showing up, and the feeling of inadequacy as a woman who cannot bring a life into this world in the most natural way. This is a lonely road. I know Bob is traveling it with me. I know that God is there for me. I know that many of you are out there rooting for me. But it’s still a lonely and scary road. I know that once I make a decision, I will be much better. But at this moment, I am overwhelmed. Maybe I’ll go hide under a blanket for a little while.